In September 2013, the NIHR Medicines for Children Research Network ran a ground breaking event. 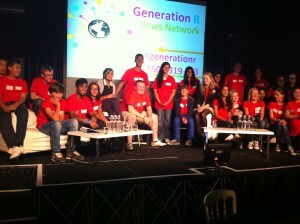 Following the event a Generation R report was published and a series of videos. Anyone with an interest in promoting and working with children, young people and families in health research can join the Alliance. For further information about what this will entail read the following Terms of Reference. DECIPHer is the Centre for the Development and Evaluation of Complex Interventions for Public Health Improvement. They have a group of young people (ALPHA) aged 14-21 who advise their researchers on public health topics and their research. Resources include a toolkit to support young people-led research. CRAE is a membership body for organisations and individuals committed to their vision: a society where the human rights of all children are recognised and realised. They have publications on children’s participation in decision making and rights. ‘This is my story’ – a two-minute animation of how Tom got involved in research. Tom and other children and young people share their experiences of being involved in research. Top tips for involving children and young people in research – ranked by children and young people. Reward and recognition for children and young people involved in research – things to consider – this new paper gives guidance on things to consider when planning involvement that includes young people. The London Generation R Young Persons Advisory Group (YPAG) at Great Ormond Street Hospital, helped to shape the content of this guidance.